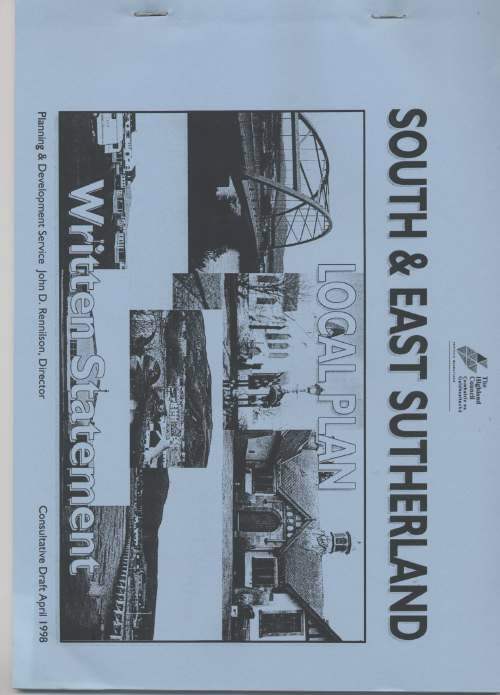 South & East Sutherland Local Plan Written Statement. Consultative draft April 1998. 42 pages plus appendices and index stapled into blue card covers.